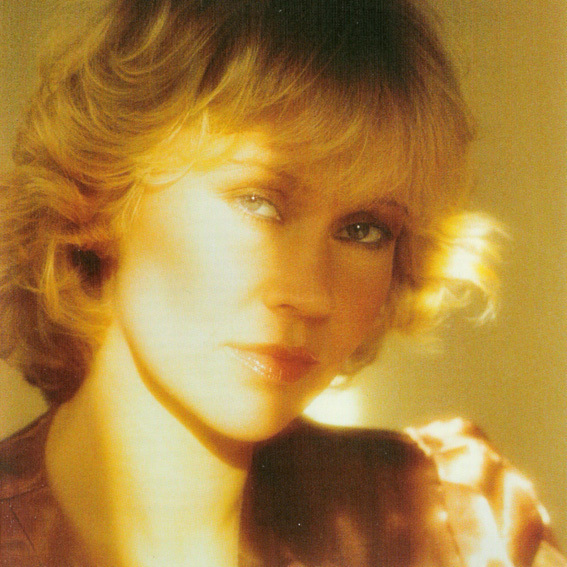 Agnetha’s first English-language solo album, 'Wrap Your Arms Around Me', was produced by Mike Chapman and was recorded in Sweden at Polar Music Studios in 1983.
was released on 31 May 1983 through Polar Music. 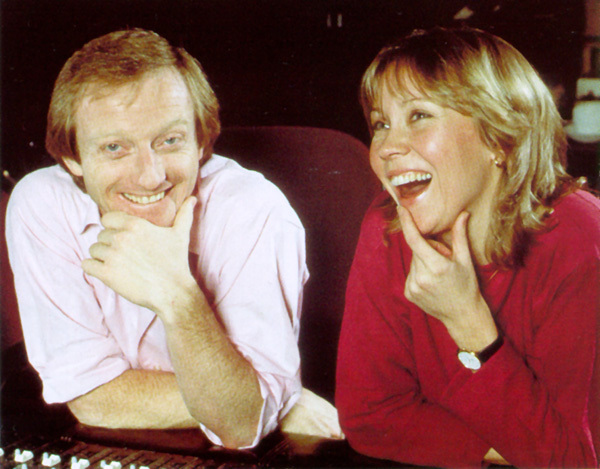 The album was produced by Mike Chapman. 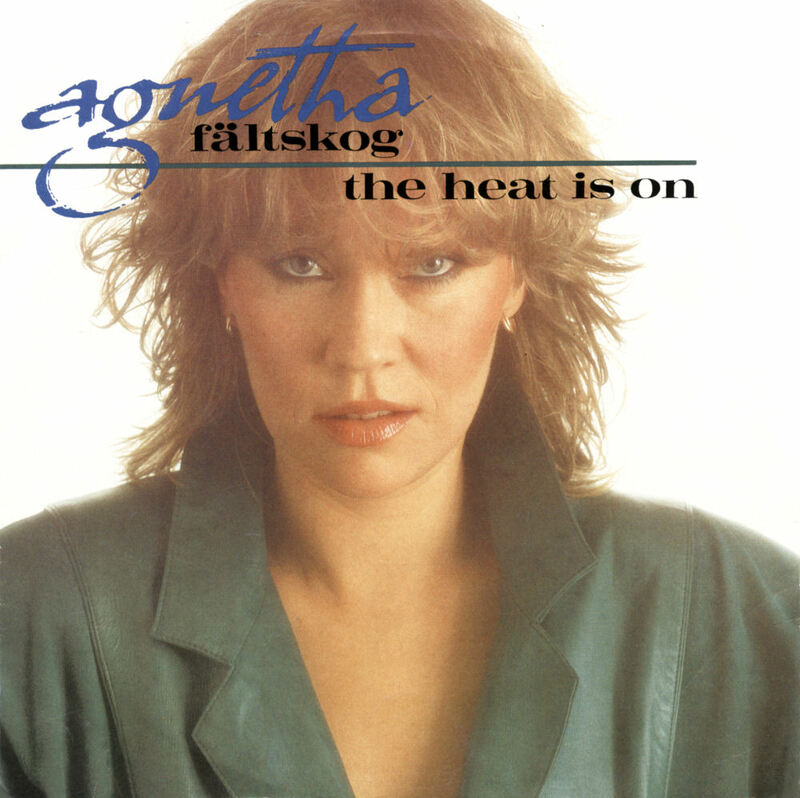 The first track from the album, "The Heat Is On", is commonly regarded as her best-known 1980s solo hit, while "Can't Shake Loose" became the first of only two solo singles to chart on the Billboard Hot 100 in the United States, peaking at number 29. 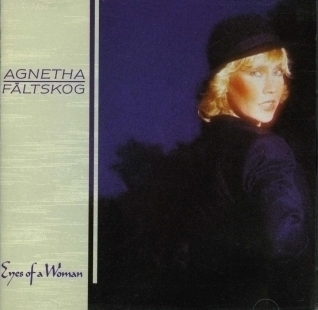 The track "Man" was the only song on the album written by Agnetha. The album was a hit in Europe, selling over 1.2 million copies. Eyes of a Woman Eric Stewart (of 10cc fame) produced. 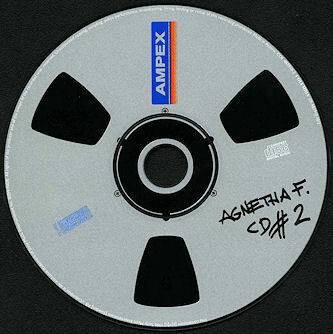 It was Agnetha's second album to reach the UK Top 40, reaching No.38. In Sweden, the album peaked at No. 2. It also reached the Top 20 in Norway, the Netherlands and Belgium. 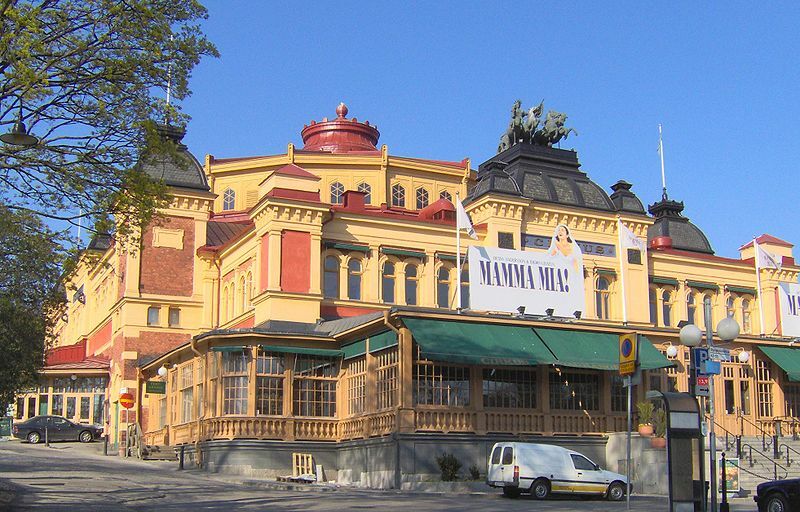 The album was recorded in the Polar Music Studios in Stockholm. Sessions began in early October 1984 and lasted until the end of November. Two of the songs recorded, "Turn the World Around" and "You're There", were not included on the initial album, but were released as B-sides. 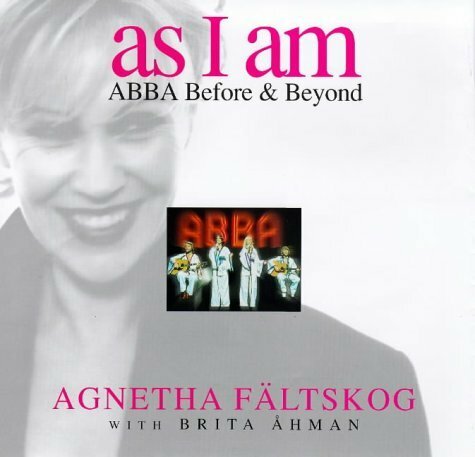 "You're There" and "I Won't Let You Go" were composed by Agnetha herself with lyrics by Eric Stewart. The tracks "One Way Love" and "I Won't Let You Go" were released as singles throughout Europe. 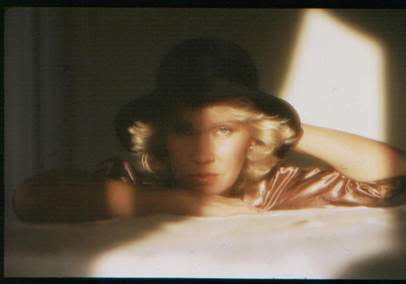 Agnetha also performed "One Way Love" at the Montreux Music Festival in 1985. 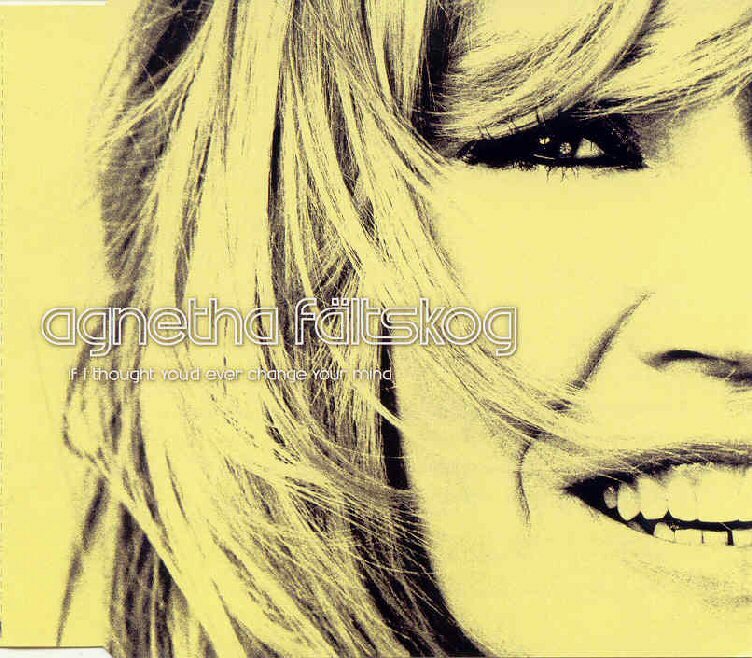 During the photo sessions for the sleeve of the album, Agnetha posed at the terrace of Drottningholm Palace, the official residence of the Swedish royal family, in Stockholm. 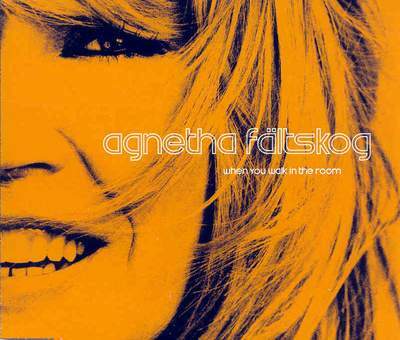 Long time ABBA fan Elvis Costello submitted a track "Shatter Proof" for inclusion on the album, however Agnetha decided against recording it. 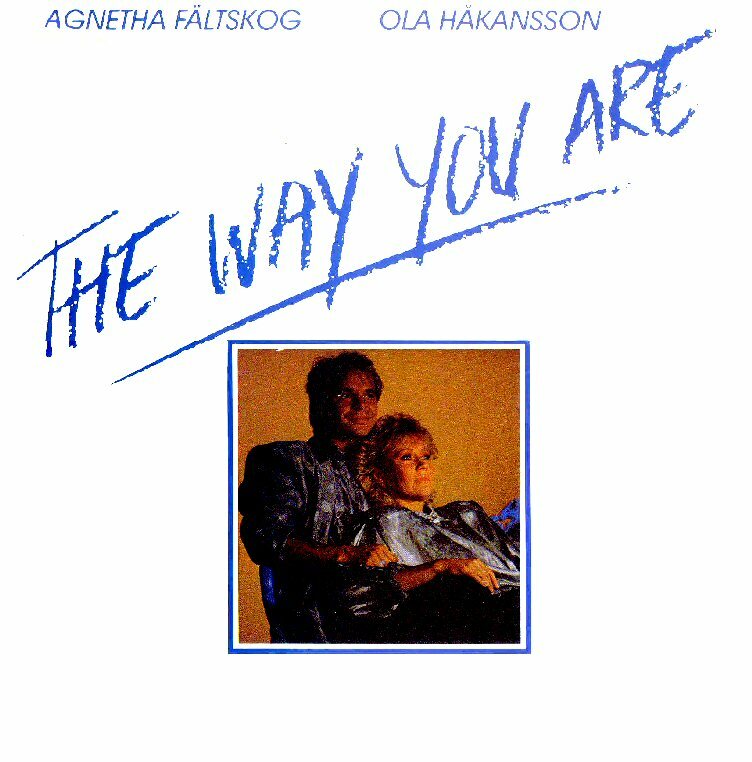 1986 "The Way You Are" was recorded by Agnetha and Ola Håkansson of the band Secret Service in 1986. The song was used to promote Falun, Sweden as a candidate for hosting the 1992 Olympic Winter Games. 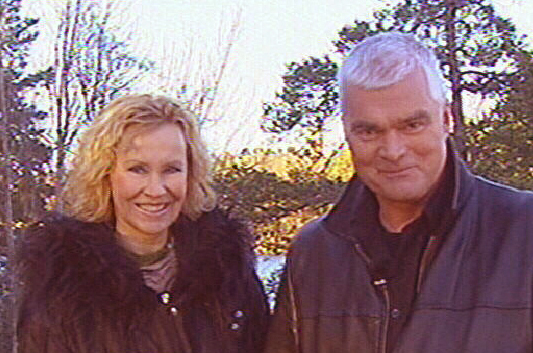 Falun was not selected to host the Games, but the song became a big hit in Sweden. 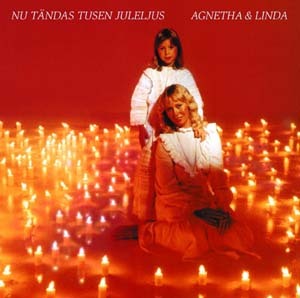 The song on the B-side, "Fly Like the Eagle", was also a duet by Agnetha and Ola Håkansso. Both songs were featured in the documentary It's Time for Sweden. The single reached No. 1 in Sweden, The single was released in Australia and got TV and radio air play, but was not successful in the rest of the world. Recorded in Los Angeles I Stand Alone was produced by Peter Cetera, the former singer and bass guitar player with American rock band Chicago. 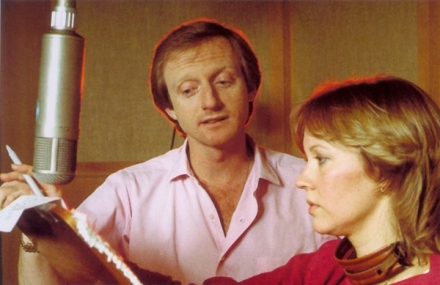 He duetted with Agnetha on the track "I Wasn't the One (Who Said Goodbye)", (No.93 Billboard Hot 100 and No.19 Adult Contemporary in the U.S.) The co-producer of the album was Bruce Gaitsch, with whom Agnetha was in a relationship with for a short time later on.. 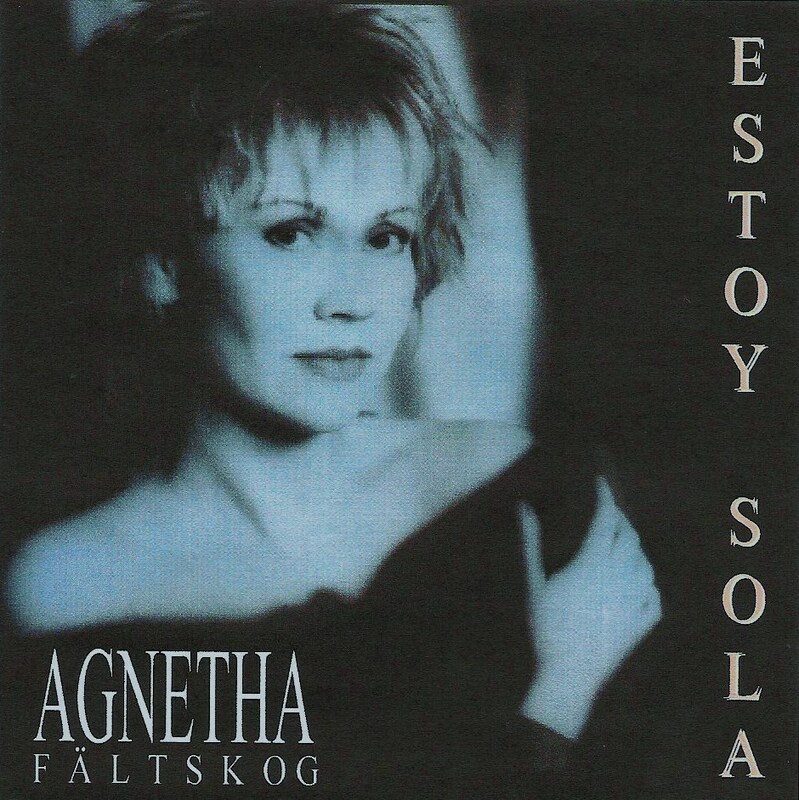 The musical style of the album was very different from the European sounds of Faltskog's previous two albums, and reflected the West Coast American influences of the producers. 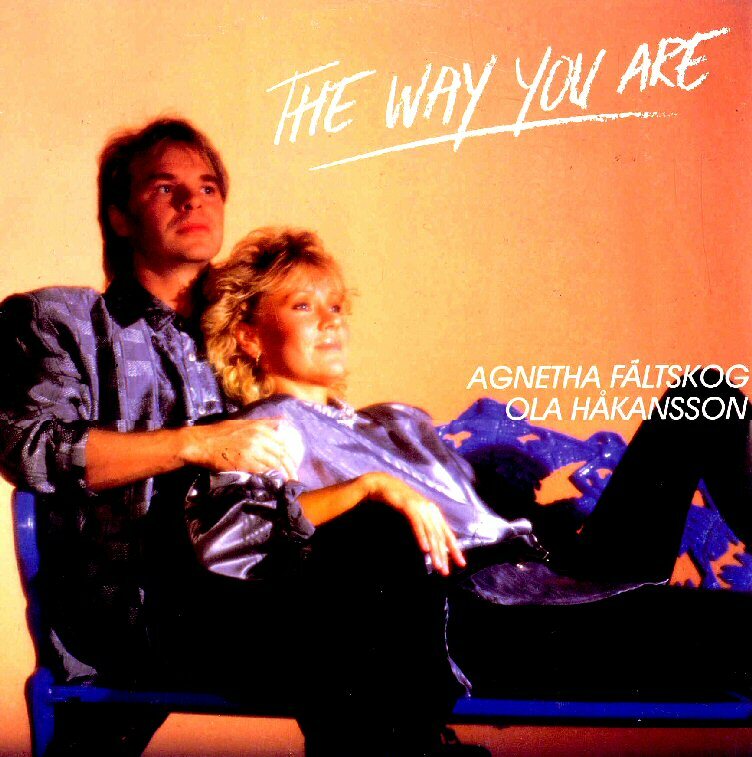 The album became Sweden's best-selling LP of 1988, where it remained at No.1 for eight weeks. It also reached the Top 20 in Norway and Belgium, and No.22 in the Netherlands, but fared less well on charts elsewhere, only reaching No.47 in West Germany, No.72 in the United Kingdom, No.93 in Japan and No.96 in Australia, however the album featured in the Melbourne top 10. 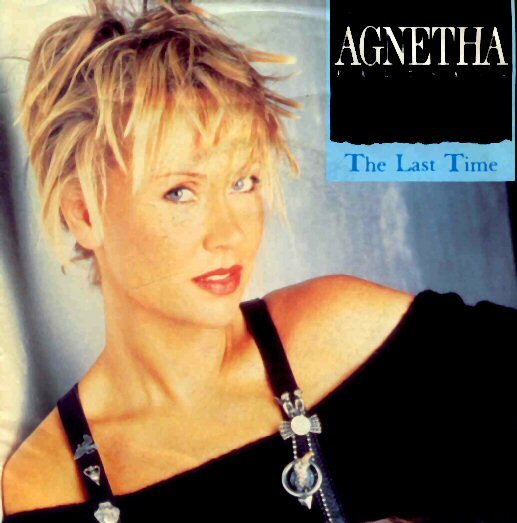 She also made several promo videos for singles from the album, including "The Last Time" and "Let It Shine". When the third single, "I Wasn't the One (Who Said Goodbye)", appeared on the U.S. Billboard Chart in April 1988, Warner Music asked her to make another video immediately. Although it was a duet with Peter Cetera, he did not appear in the video. Album track "Love in a World Gone Mad" was a cover version of a song by Bucks Fizz, from their 1986 album Writing on the Wall. "Yo No Fui Quién Dijo Adiós"
("I Wasn't the One (Who Said Goodbye)". 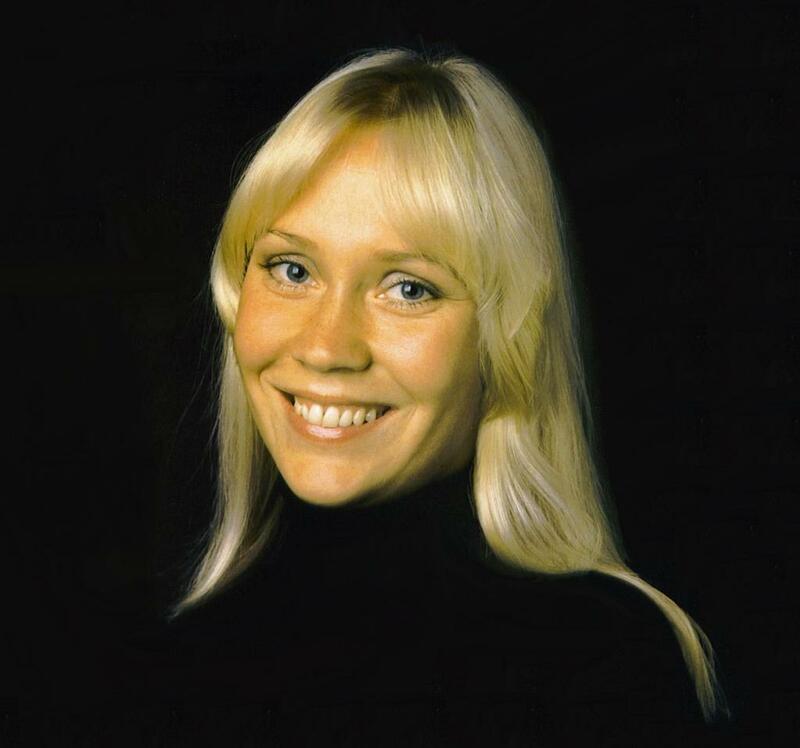 For the cover of the album and promotional interviews, Agnetha appeared with a "new" spiky blonde hair look. She made a very rare trip by plane to Los Angeles to record the album. After it was completed, she never flew again due to her much-publicised fear of flying. She did, however, admit that the flight was worth it. 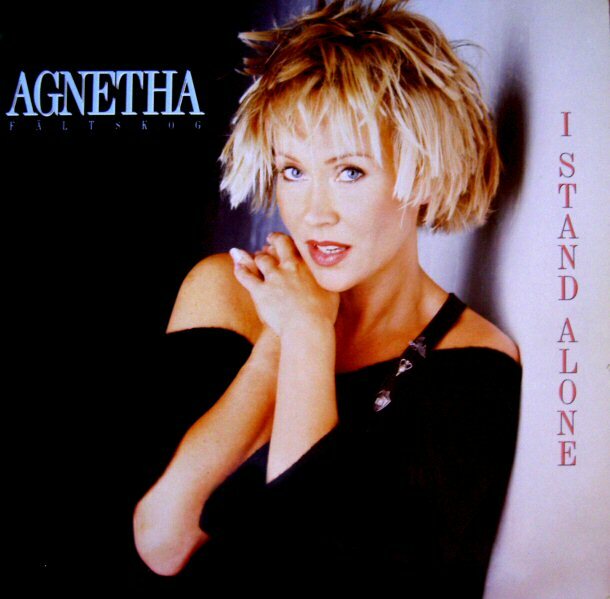 After the release of I Stand Alone in mid-1988 Agnetha had a well earned break. 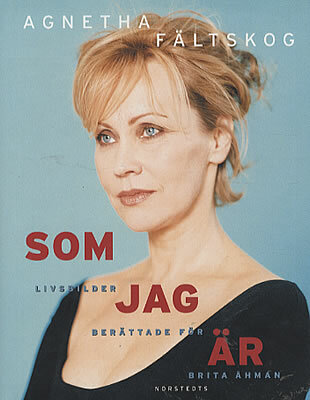 In 1990, Agnetha married Swedish surgeon Tomas Sonnenfeld. They divorced in 1993. She also had a two year friendship with Dutchman Gert van der Graaf at the end of the 1990s . 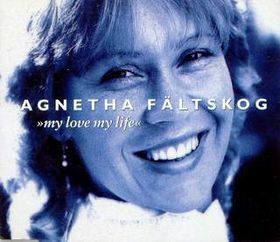 After Agnetha had decided to finish the friendship, he stalked her at her mansion, resulting in a court issuing Van der Graaf with a restraining order. He was arrested in 2003 and banned from entry into Sweden. 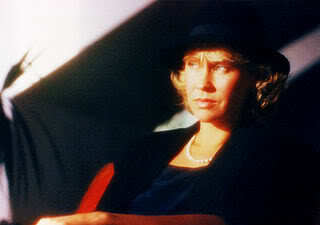 In 2005, the deportation order from Sweden ran out, and within months Van der Graaf was again sighted near her estate in Ekerö. 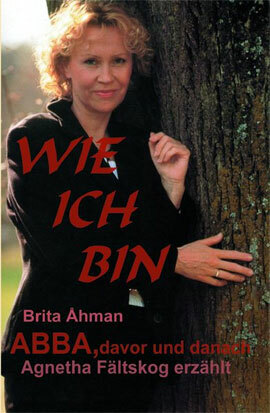 The first book written by an ABBA member! It includes many photos plus an extensive discography by Björn Waldenström. 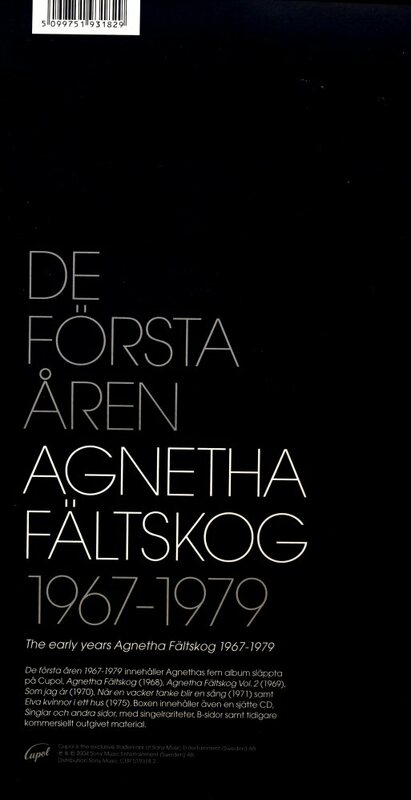 The book was followed by several compilation CDs of her Swedish and English recordings. 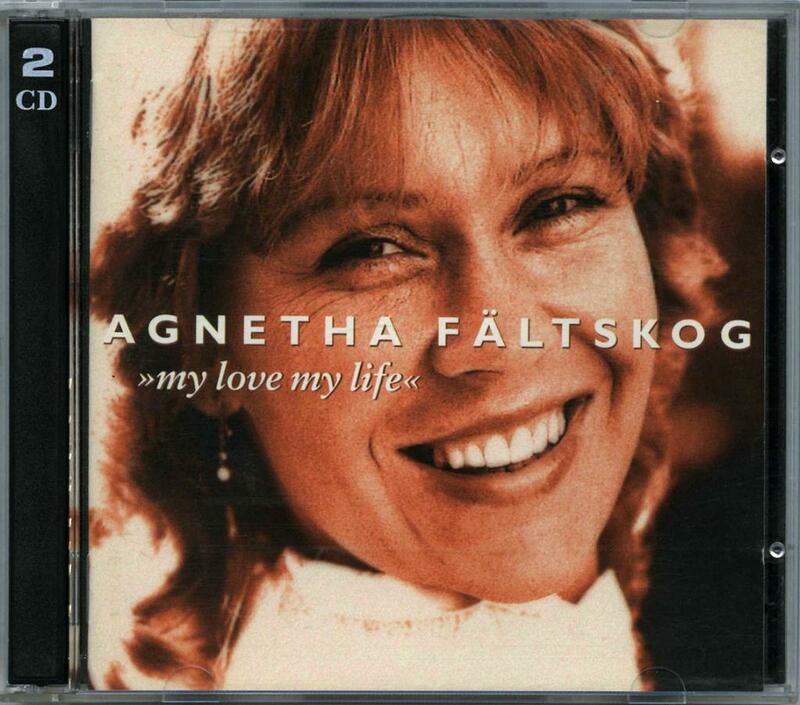 My Love, My Life is a compilation album released in 1996 for which Agnetha picked out the music herself. named after the ABBA song "My Love, My Life". 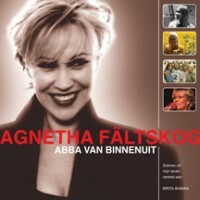 The two-disc set features all her Swedish-language hits plus a small selection of later English language songs, including a few ABBA songs, such as "My Love, My Life" and "The Winner Takes It All". "En sång om sorg och glädje" (from 1973' Agnetha Fältskogs bästa & 1979' Tio år med Agnetha) - Swedish Cover Sally Carr Feat. 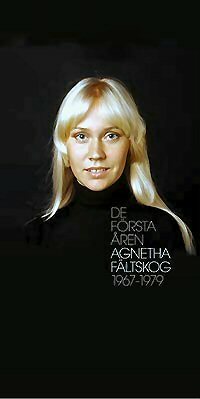 Middle of the Road in the Version "Union Silver"
Originally this song was a Swedish song called "När du tar mig i din famn" (When You Take Me in Your Arms), which was recorded in 1979 as part of the compilation Tio år med Agnetha. 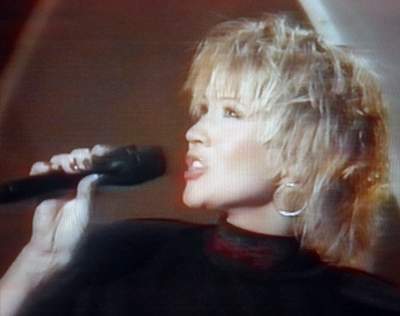 The single also featured the songs "One Way Love", "I Won't Let You Go", and "Eyes of a Woman" from the 1985 album Eyes of a Woman. 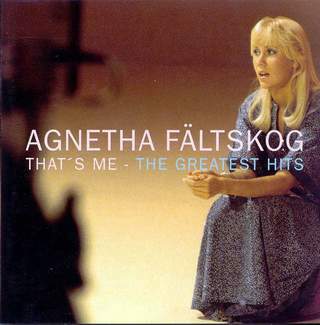 The song was licenced from Sony Music Sweden as the original version was released on the 1979 compilation Tio år med Agnetha, which wrapped up her solo career with what was then CBS Cupol. 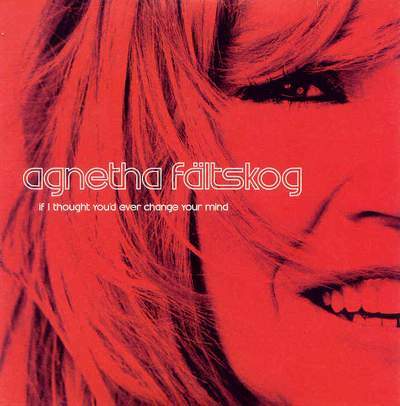 In April 2004, Fältskog released a new single, "If I Thought You'd Ever Change Your Mind" (a cover of the song originally recorded by Cilla Black). It peaked at number 2 in Sweden, number 11 in the UK, and became a sizeable hit throughout Europe. "It is exciting to hear her voice, utterly undimmed, delivering a tellingly-titled song," commented London's Music Week. 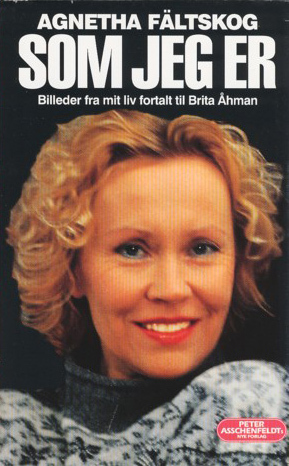 In 2004 Agnetha released her first album in 17 years, entitled My Colouring Book. 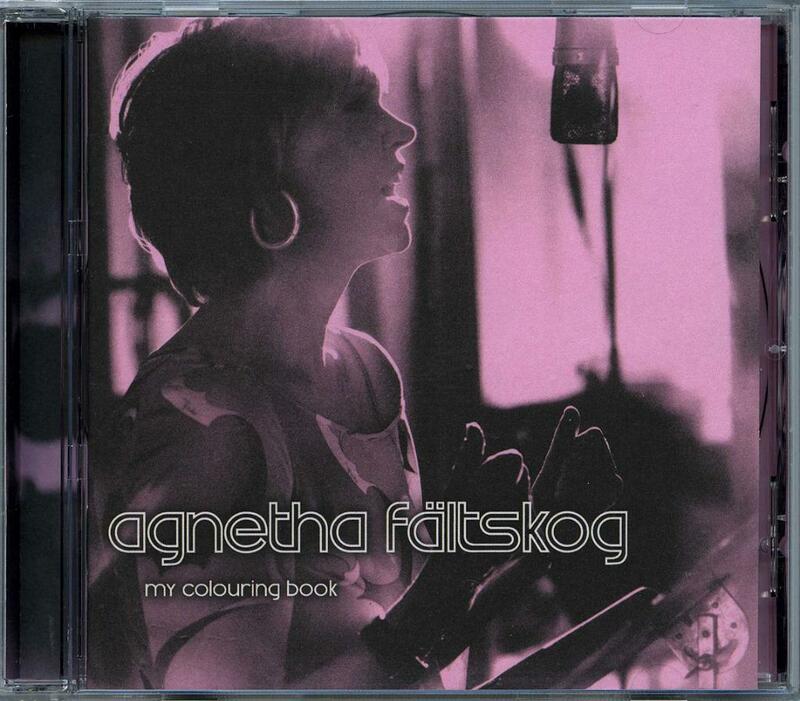 My Colouring Book is the name of the 2004 album by Agnetha Fältskog. 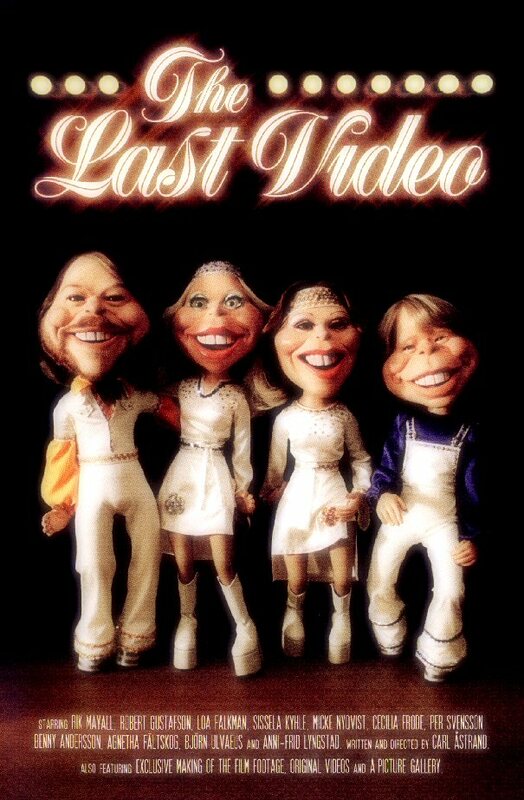 It was her first album release for 17 years and was well received by ABBA fans, as well as the general music press, with renditions of songs which she had listened to during her teenage years in the 1960's. 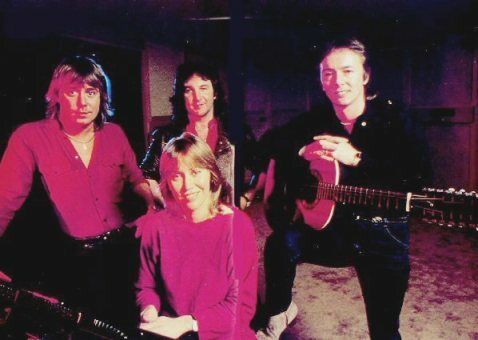 Hit singles from the album were "If I Thought You'd Ever Change Your Mind" (#11 in the UK) and "When You Walk in the Room" (UK #34), though many critics nominated "Sometimes When I'm Dreaming" as the stand out track, reminiscent of the quality of ABBA recordings, and was issued in Sweden as a promo-only single. The album itself reached #12 in the UK, her highest charting album there. 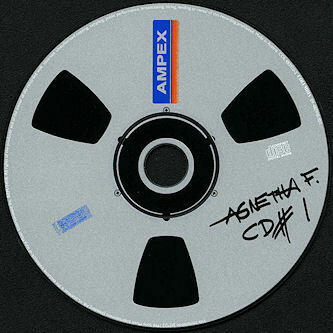 It was announced that around 500,000 copies of the album were sold worldwide. During 2004, the album went silver in the UK for sales of over 60,000,while in her home country of Sweden, during its first week of release, it sold 64,000 copies and reached #1. My Colouring Book also reached #6 in Germany in May 2004. The title song "My Colouring Book" is a cover of the song originally recorded by Dusty Springfield. "I love this record," enthused Pete Clark in London's Evening Standard, while Daily Mail pointed out that "it reveals a genuine affection for the era's forgotten pop tunes." The Times reviewer noted that "her voice is still an impressive pop instrument," and The Observer shared the same sentiment suggesting that "time hasn't diminished her perfect voice." 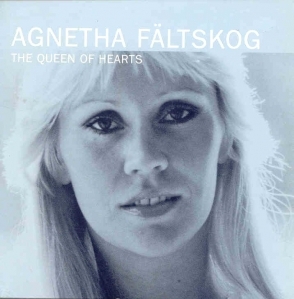 Reviewing the release in The Guardian, Caroline Sullivan wrote: "Agnetha Fältskog has a vulnerability that gets under the skin of a song. She may be cheating a trifle by including no original material on this collection of 1960s covers, but if anyone can do justice to the likes of "Sealed with a Kiss", it's her. The soaring sentimentality evokes Cilla Black and Sandie Shaw in their mini-skirted pomp, and I don't say that lightly." 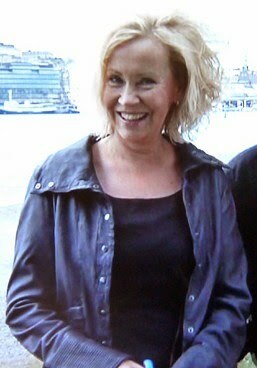 The release attracted media attention across Europe, but Agnetha refused to be involved in any extensive promotion of the album (including personal appearances), and thus limited her public exposure to several short newspaper interviews, a few videos and a Swedish-language low-key TV special. Yet, the album managed to sell more than 500,000 copies worldwide, 50,000 of those in the United Kingdom alone. A second single release from the album, "When You Walk in the Room", peaked at number 11 in Sweden and also entered the UK Top 40. "Sometimes When I'm Dreaming", originally recorded by Art Garfunkel, failed to be released as the third single from the album. 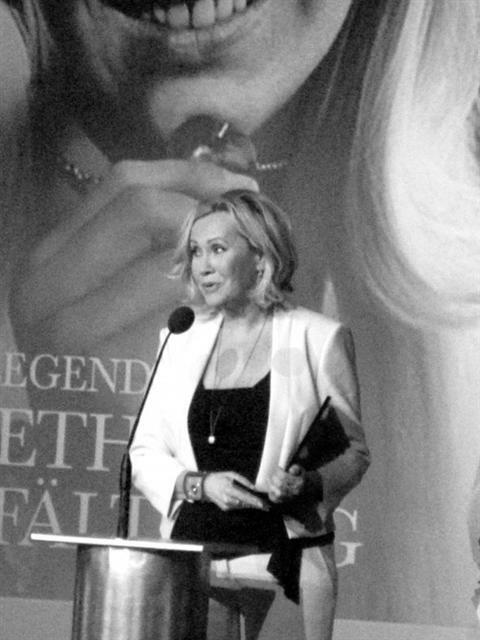 In 2004, Agnetha was nominated for Best Nordic Artist at the Nordic Music Awards, and at Christmas of that year (for the first time in almost 20 years), she gave an extensive interview which was filmed by Swedish TV. The following year(2005) her three albums released on Polar Music (the Christmas album Nu tändas tusen juleljus – recorded with her daughter Linda – Wrap Your Arms Around Me and Eyes Of A Woman) were re-released with bonus tracks by Universal/Polar. In January 2007, she appeared at the final performance of Mamma Mia! in Stockholm (as she had at its opening in 2005). Together with ex-husband and former colleague Björn Ulvaeus, she appeared on stage at the after show party held at Stockholm's Grand Hotel. She also sang a duet, "True Love", with Tommy Körberg of Chess. In November 2007 she attended a 20th anniversary party for Swedish channel TV3, and was seen dancing to ABBA tribute act Björn Again. 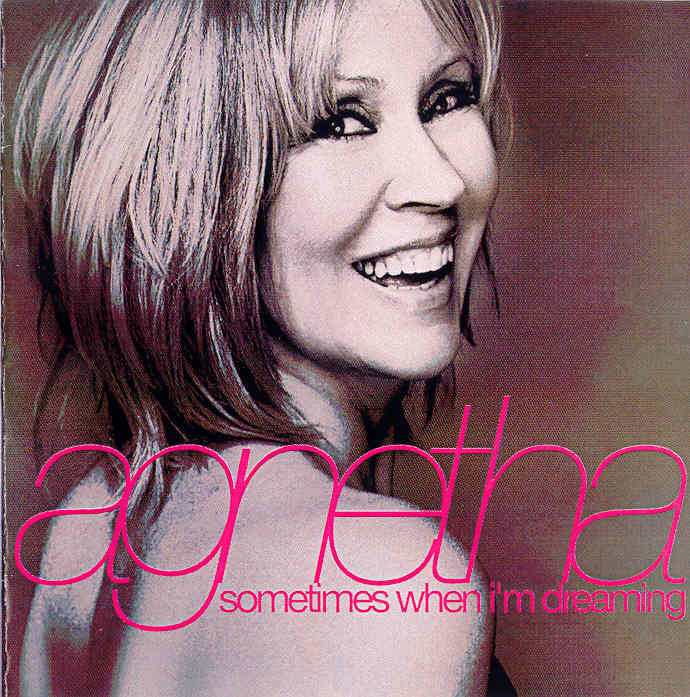 Since her 2004 “comeback” album My Colouring Book, Agnetha has remained silent musically . 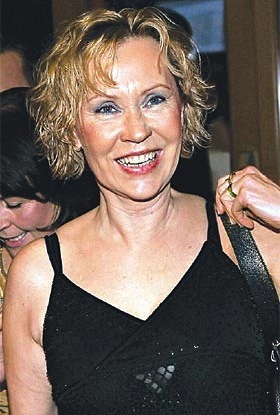 On July 4,2008, Agnetha joined former colleagues Anni-Frid Lyngstad, Björn Ulvaeus and Benny Andersson at the Swedish premiere of the film version of Mamma Mia!, held at the Rival Theatre (owned by Benny) in Mariatorget, Stockholm. Agnetha arrived early then came out with Frida to greet Meryl Streep, the three dancing in front of thousands of fans before joining the film's other stars and Benny and Björn on the hotel balcony for the first photograph of all four ABBA members together in 22 years. 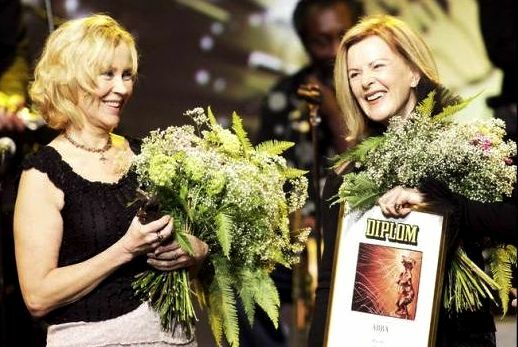 In January 2010, Agnetha appeared onstage together with Frida at Swedish Rockbjörnen Awards to receive a lifetime honorary award for ABBA, and even giving a short, interview. 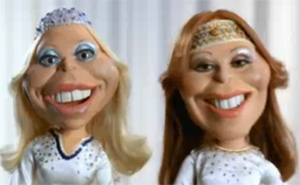 In February 2010, ABBA World, an extensive multi-million pound exhibition, debuted at London's Earls Court and included an extensive interview with Agnetha filmed in Sweden the previous summer. 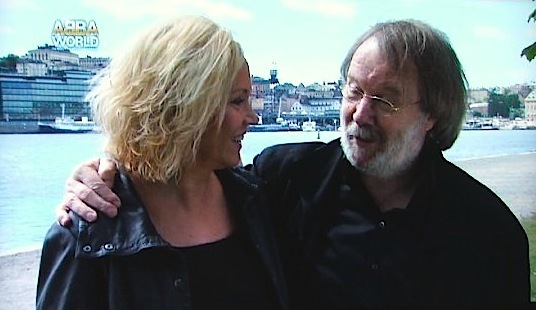 For the exhibition's Melbourne launch, she recorded a light-hearted opening film together with former ABBA colleague Benny Andersson, shot in Stockholm in June 2010. 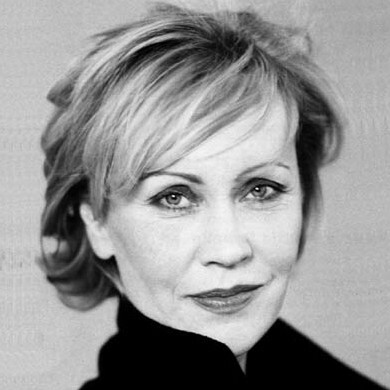 In 2012 she was awarded "Modelegand "(fashion legend/Icon) by Elle magazine (Sweden). but otherwise she remains withdrawn from public life.